Baildon Village Pre-school opened its doors over 30 years ago as a playgroup. Now a pre-school, children aged 2.5 to 5 yrs old continue to benefit considerably from the emphasis on learning through play. 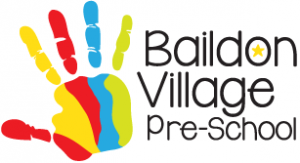 Baildon Village Pre-school also works with the Bradford Early Years Team and The Pre-School Learning Alliance to ensure that the children receive the highest possible standard of care and education. The pre-school is also OFSTED registered. Each child has a key worker who supports them throughout their time at pre-school and compiles their special book. To find out who your Child’s key worker is please look at the notice board. All staff are qualified first-aiders. At the start of the session the children play inside and have the opportunity to join in with special activities such as baking, crafts etc. Next the children head out, weather permitting, to our newly renovated outdoor play area to use our wide range of bikes, balls, hoops etc. The children return inside for stories and a snack and at the end of the session the children settle down for some music and movement activities. 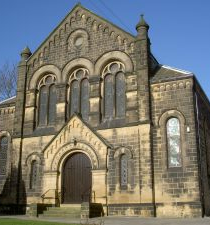 Sessions are held in the Marley Hut at Baildon Methodist Church.